Rustic is the term to describe the countryside or any object that contains a rural characteristic or feel. Rustic is also a popular theme that utilizes the use of outdoor material and color schemes, which evokes the relaxed vibe that the countryside is sought after. This theme is used when celebrants have a special affinity for the outdoors or would like to imitate the ease in country life. 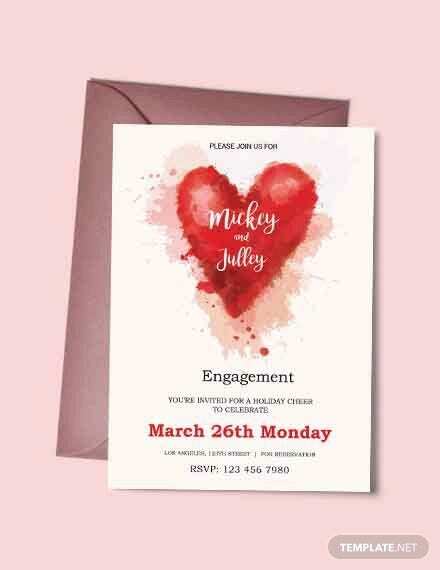 This theme is popular with wedding and prewedding activities, just like engagement parties. 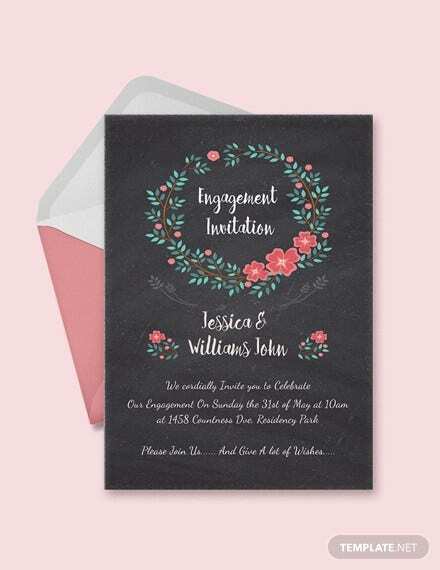 If you are throwing a wedding with a rustic theme, then you are sure to be looking for Engagement Invitations that will complement them. 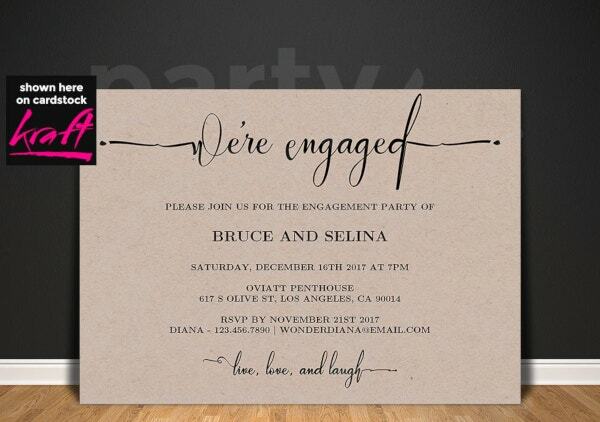 Read through this article to see rustic-themed invitation designs that you can use! 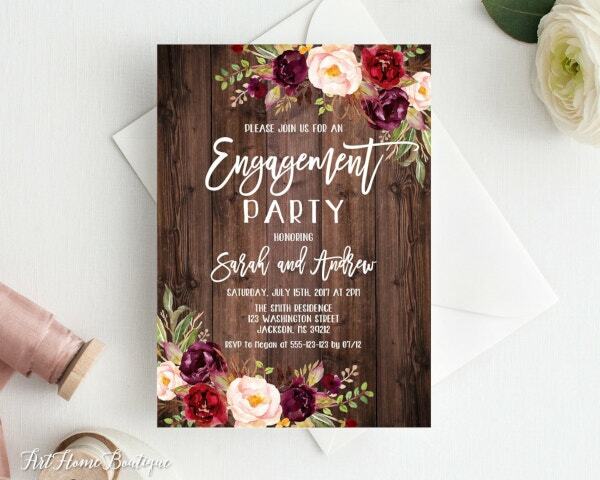 Many event organizers argue that rustic is actually a style rather than a theme due to its ability to become traditional, formal, casual, contemporary, modern, or eclectic, depending on how the client decides to make use of it. The rustic style then becomes a theme when a specific aspect of country life takes center stage in its execution like barns, the hue of a special type of wood, or cowboy apparel even. Rustic weddings and engagement parties are increasingly becoming more popular with couples due to its utilization of the outdoors like the mountains, a vineyard, or a ranch, which provides the most spectacular backdrop to suit the atmosphere of the wedding. 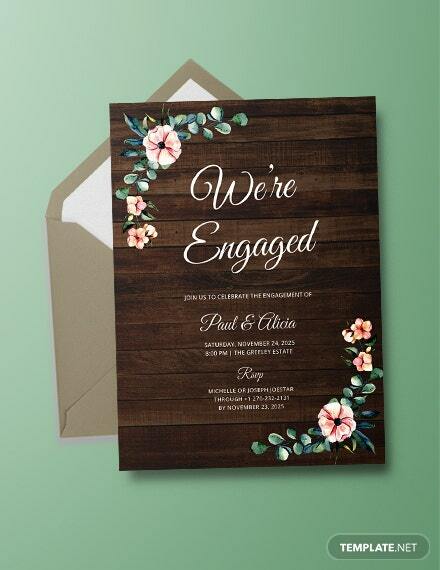 Another major reason that the rustic theme is favored is due to the fact that it completely disregards the idea of the traditional “big, white wedding.” So in a way, the charming facets of the rustic style is a defiance to the long-established expectations of appropriate wedding approaches, without seeming too straightforward. 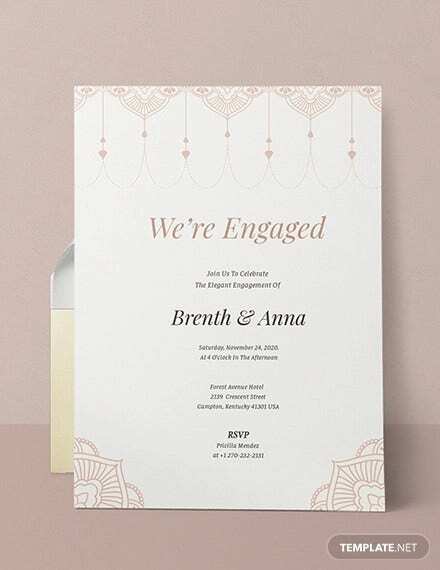 Our Rustic Invitation Templates are designed to evoke the same tone and mood of your rustic wedding. 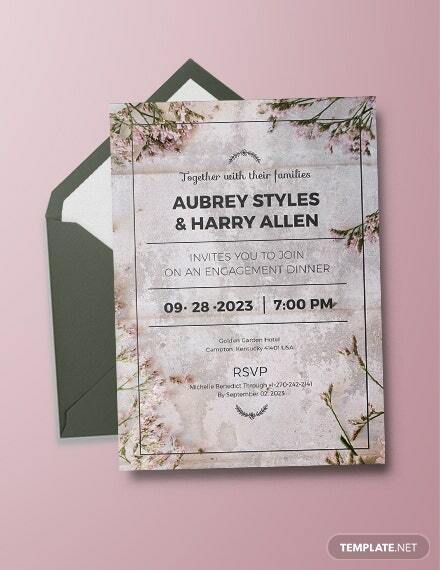 Choose from any of these customizable rustic engagement invitation templates for free! 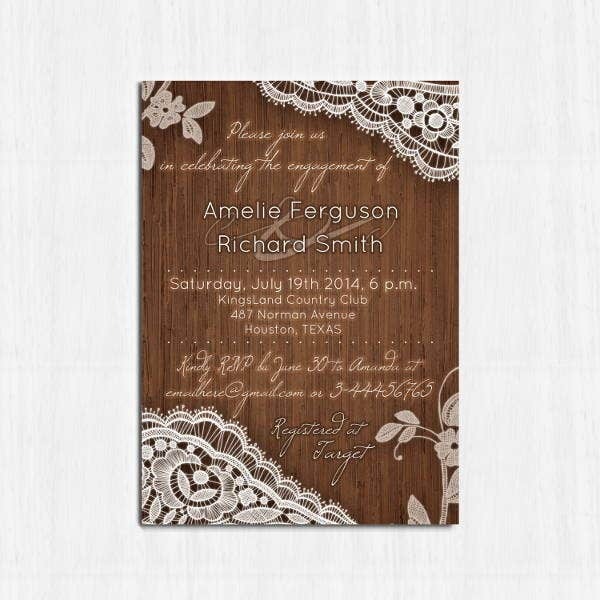 Rustic Lace Engagement Invitation. A rustic style is enhanced by the elements of “shabby chic” with the inclusion of lace. 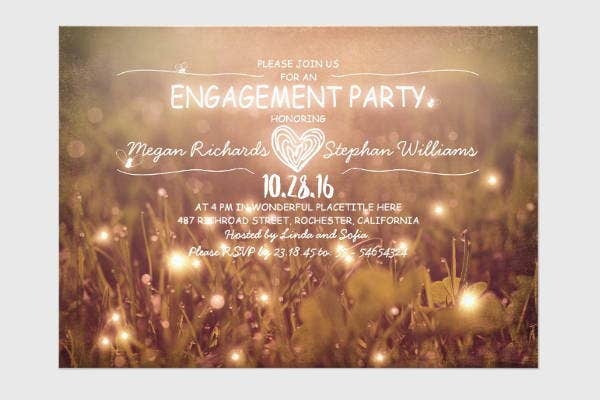 This engagement template is perfect for the casual or the more formal type of engagement party. 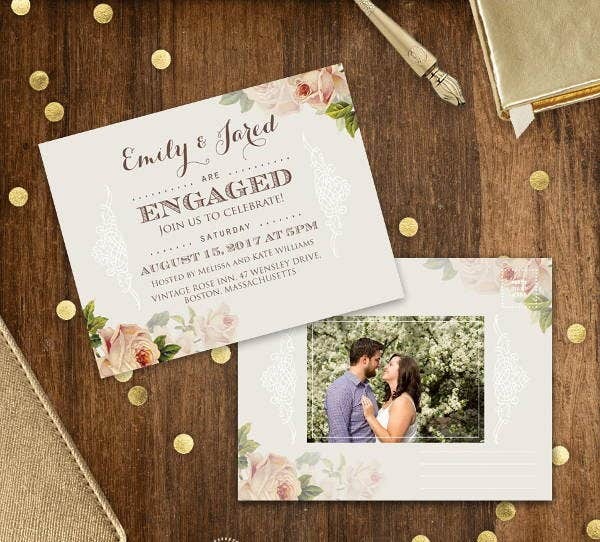 Rustic Engagement Photo Invitation. 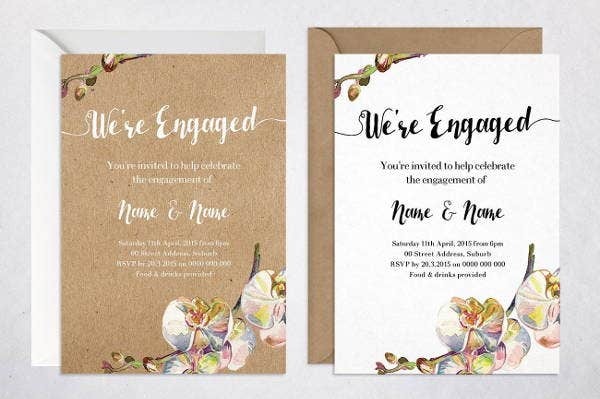 You can further customize these engagement invitation templates when you incorporate pictures of the engaged couple in the invitations. Maximize those prenuptial photos with this template. 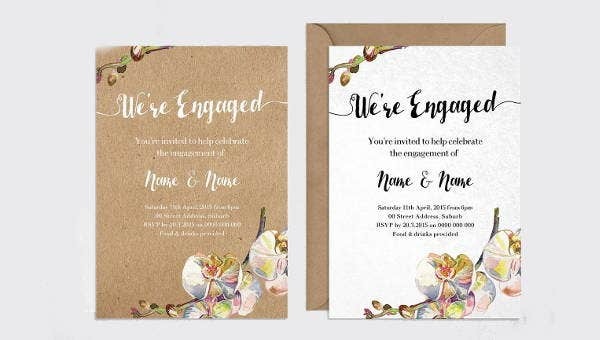 Rustic Birds Engagement Party Invitation. 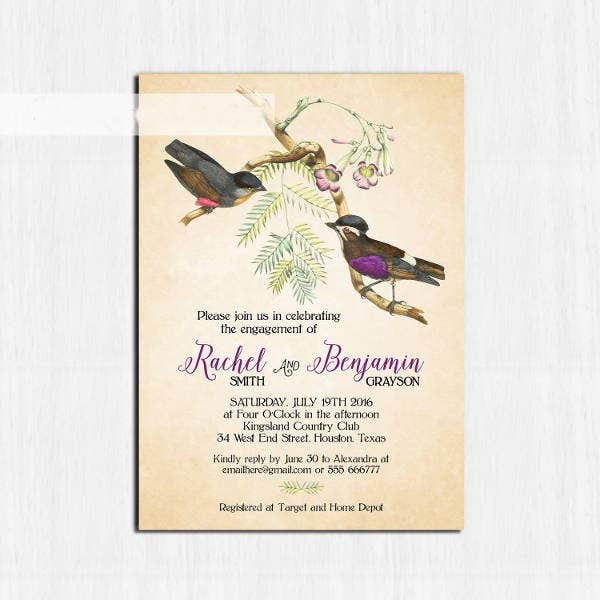 Birds go perfectly well with the rustic theme and emphasize the outdoorsy vibe with this invitation template. 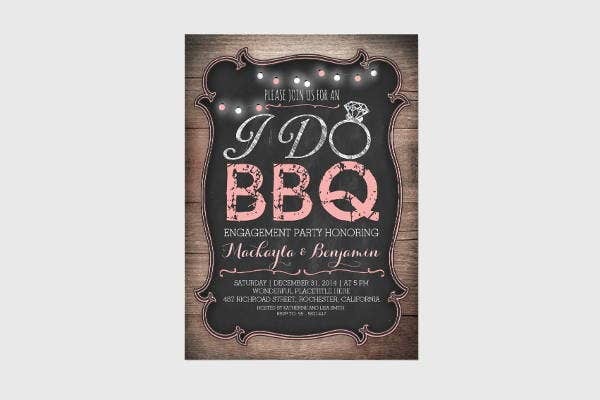 Rustic BBQ Engagement Invitation. 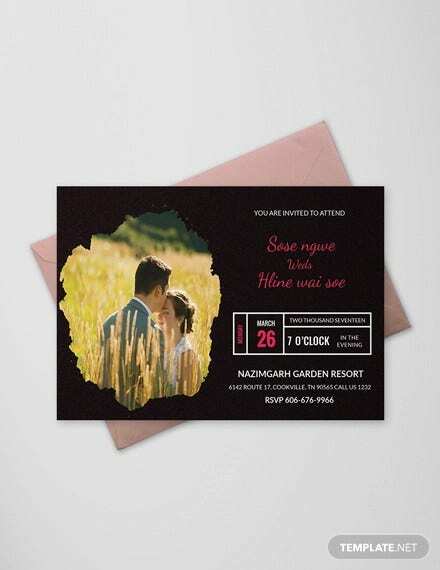 Representing the most casual of cuisines that one can serve at a party, this BBQ engagement invitation template conveys that not only will the engaged couple take center stage, but that the meal itself will have its moment in the spotlight as well.